Now in its 30th year, National Estuaries Week (NEW) is a nationwide celebration of our bays and estuaries and the many benefits they provide to local communities. 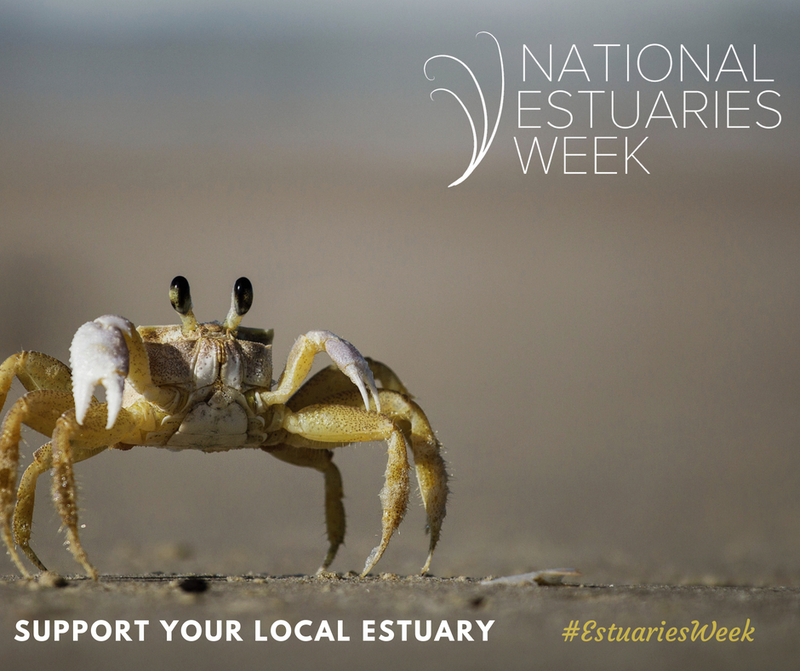 TEP is joining with local partners and organizations throughout the country to host local events in celebration of National Estuaries Week, from beach cleanups to marsh restoration events to kayaking tours. Hear about the restoration programs of Tillamook Estuaries Partnership and some of our plans to celebrate our 25th Anniversary in 2019. Learn how you can volunteer with some of our programs and what you can do at home and at work to conserve and protect our marine resources in Tillamook County! Join in on this great event and discover loons, grebes, pelicans, cormorants and a variety of other seabirds from Netarts Bay, Whalen Island and south to the new Sitka Sedge State Park. The tour will be led by Ram Papish, an Oregon coastal wildlife artist, professional photographer and biologist. Papish, an illustrator for a variety of public and private environmental agencies, will lead this field based workshop starting at 9 a.m. Hosted by WEBS as a part of the Explore Nature series of events, the first tour option offers an easier ride, taking advantage of the last of outgoing toward mouth of bay. Participants will stop on the way to see the aquarium of marine life such as kelp and Dungeness crab, filtering shellfish, and aquatic vegetation that lives in the shallow waters of the cove. On our return, we'll paddle the incoming tides past harbor seals lounging on the sand bar before heading back to the launch site. For intermediate kayak adventurers, the first half of this trip takes advantage of an incoming tide, flushing participants far up into the inner bay toward to our destination. Because the NOAA tides predictions are only predictions, participants should be prepared for anything. For instance, the journey to the sand dollar beds may involve short portages and using teamwork to carry the kayaks with us. On the return trip, we will paddling against an mild incoming tidal current and potentially a Northwest wind. If you are up for a challenge, this is the trip for you. Do you enjoy Pacific Northwest oysters? Have you ever wondered about where the oysters come from? The oyster industry is an important part of Tillamook County and includes several farms, like Pacific Seafood operating out of Bay City, and one of the largest oyster hatcheries in the country, Whiskey Creek Shellfish Hatchery on Netarts Bay. This tour includes a stop at Whiskey Creek Shellfish Hatchery followed by a Dock Walk along the marina in Garibaldi with the Pacific Seafood. Get a chance to board the oyster barge, learn about the gear and techniques used to harvest oysters, and more. Hear about the restoration programs of Tillamook Estuaries Partnership and get a sneak peak at some of our plans to celebrate our 25th Anniversary in 2019. Learn how you can volunteer with some of our programs and what you can do at home and at work to conserve and protect our marine resources in Tillamook County! Looks like you've already signed up with this e-mail address. If you'd like to view or edit your current profile, please click here, and we will email you a link to your personal profile page. We email this link to you to ensure that only you have access to your profile page. Thank you - an email has just been sent to . Once you receive this email, simply click the provided link as instructed. Thank you - a confirmation email has been sent to . In order to complete the sign-up process, you need to verify your email address by clicking on the link sent to you in that email. Please complete the form below to receive our newsletter. The Tillamook Estuaries Partnership, a 501 (c) (3) non-profit organization, is dedicated to the conservation and restoration of Tillamook County's estuaries and watersheds in their entirety. Photography By: Best Impressions Picture Co., Roger Ross Photography, & Tillamook Estuaries Partnership. Website Designed By: BlankZebra - Copyright © 2013 - 2019 Tillamook Estuaries Partnership. All Rights Reserved.